Formula E, officially the FIA Formula E Championship, is a class of auto racing that uses only electric-powered cars. Cars can go from 0-62 in just 2.9 seconds and are all powered by lithium ion batteries (which fully charge in just 50 minutes). The season consists of 12 races on 5 continents in some of the coolest cities on the planet; Paris, Hong Kong, Marrakesh, and Buenos Aires. This weekend, the first international race will take place in New York City, which will also be the first zero-emission ePrx in the history of the Championship. 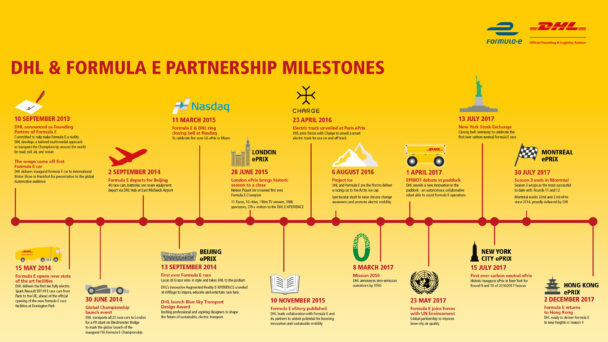 DHL, the world’s leading logistics company and the Logistics Partner of Formula E, delivered all 40 fully-electric racing cars taking part in the Championship, along with lithium-ion batteries, charging stations, garage equipment and track infrastructure for the 10 teams that will compete in New York City this weekend. The event in Brooklyn marks the second to last stop of the 2016/17 season which concludes in Montreal, Canada, in late July. In preparation of the race, yesterday DHL Express CEO Ken Allen rang the closing bell at the NYSE alongside Formula E leadership. 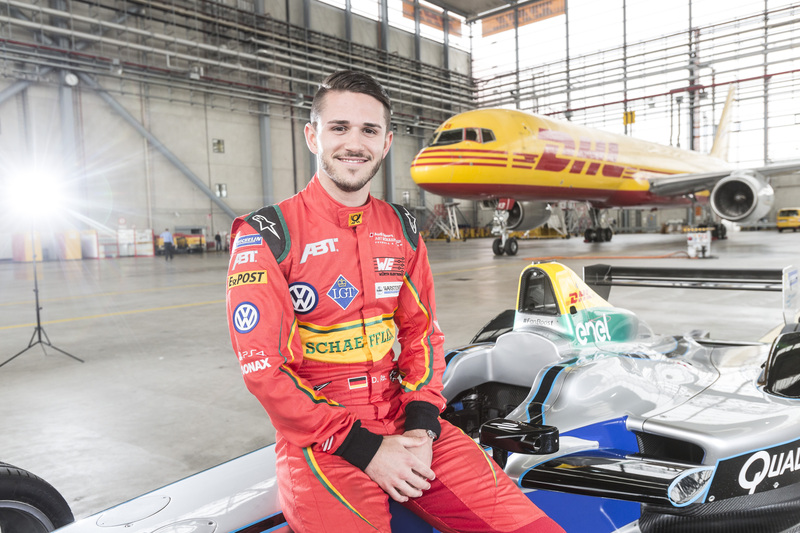 As a frontrunner in developing and providing sustainable logistics solutions, DHL recognizes the global fully-electric single-seater racing series as an excellent platform to help drive the continued development of e-mobility. The cargo for the Qualcomm New York City ePrix traveled to the U.S. from Europe via ocean freight which produces 100 times less CO2 emissions than transporting the same cargo via air. DHL has also used road and rail transport modes when possible throughout this and previous seasons. Formula E has spent four years trying to find a location in NYC to host this race. There will be 10 teams and 20 drivers competing on a 1.95 kilometer circuit with 10 turns. The races will take place on Saturday and Sunday in the Red Hook neighborhood in Brooklyn. The race is sold out, but can be watched via Fox on FS2.